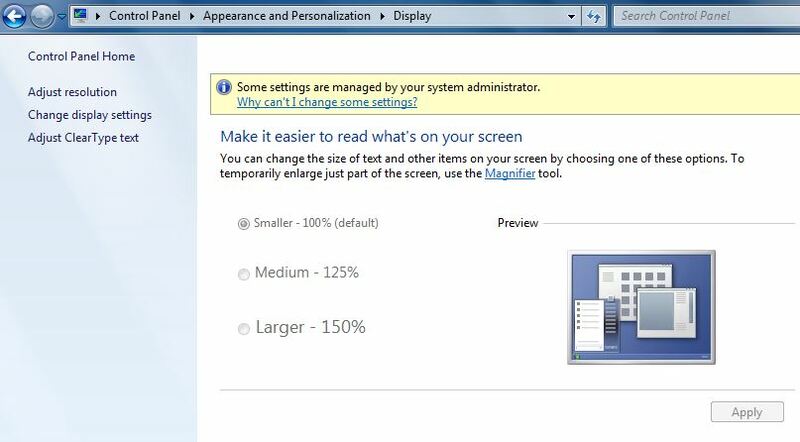 With small devices now sporting very high resolution displays, the default font size for Windows desktops might be too small for the users when they connect to Windows based Virtual Desktops on their tablets. By default View disables the Display Control Panel, even for Administrators. The reason for this because PCoIP will actively change the resolution of the screen as a user resizes their window so by disabling access to the Display Control Panel we prevent users interfering with this behaviour. 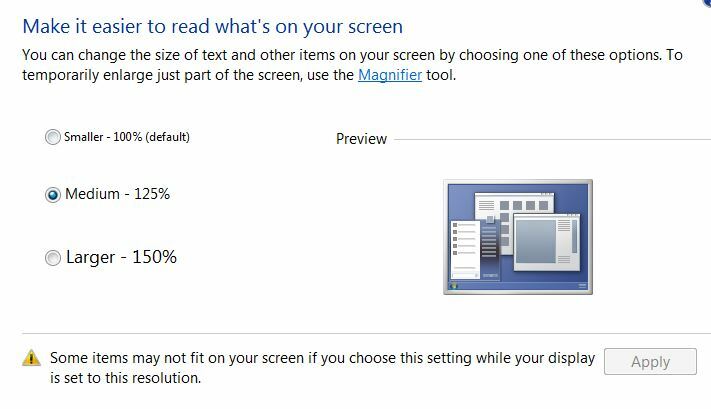 Unfortunately this prevents users changing their Windows Font Size. 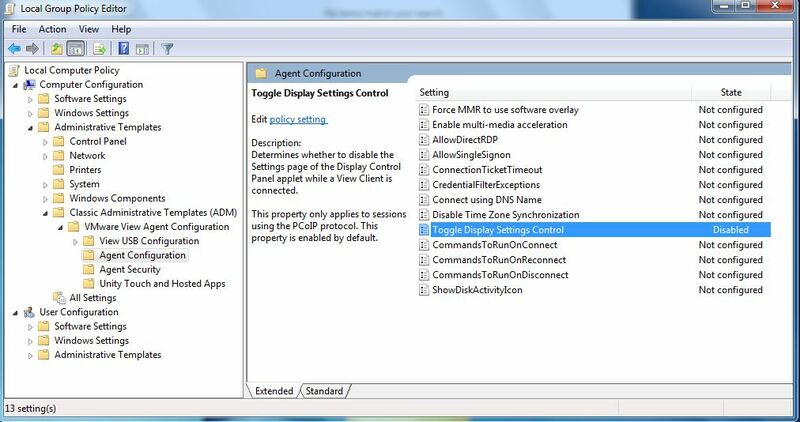 The best way to fix this problem is by using a policy found in the vdm_agent.adm policy file. You need to alter the “Toggle Display Settings Control” and set it to “Disabled”. This GPO should be applied to the Computer account of the View desktop. Once this is applied to the desktop users (even non-administrators) will be able to change their display settings. If they change the resolution, PCoIP will change it back to the Windows size but they can change their Font Size which is stored in the User Hive so this will persist on floating desktops if you are syncing the profile. 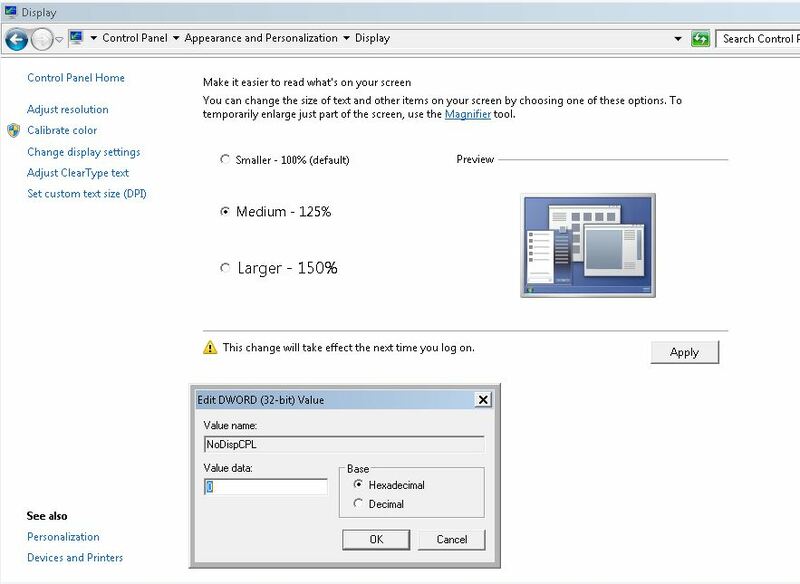 If you set this value to 0 and then resize your PCoIP window, Windows will reread the registry setting and then you can change the display settings. However the problem with this method is firstly you have to be an Administrator, and secondly it will be overwritten next time you connect to the desktop so this is really only useful for testing.